I am a retired geologist and also a retired Navy Captain who was trained as a carrier pilot in WWll then before seeing combat, the war ended. Was subsequently transfered out of carrier aviation and spent the rest of my Navy careet flying multiengine PBM-5 Mariner seaplanes and later P2V Neptunes. Do have ten carrier landings on the USS Ranger, CV-4. 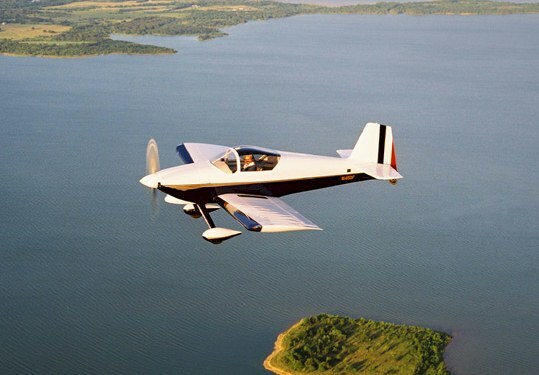 This is the second RV-6 I've built and has a constant speed prop. I received the quick build kit for this one in August 1999 and flew it for its first flight on Memorial Day, 2001. Have to say that this is the most fun airplane I have ever flown.